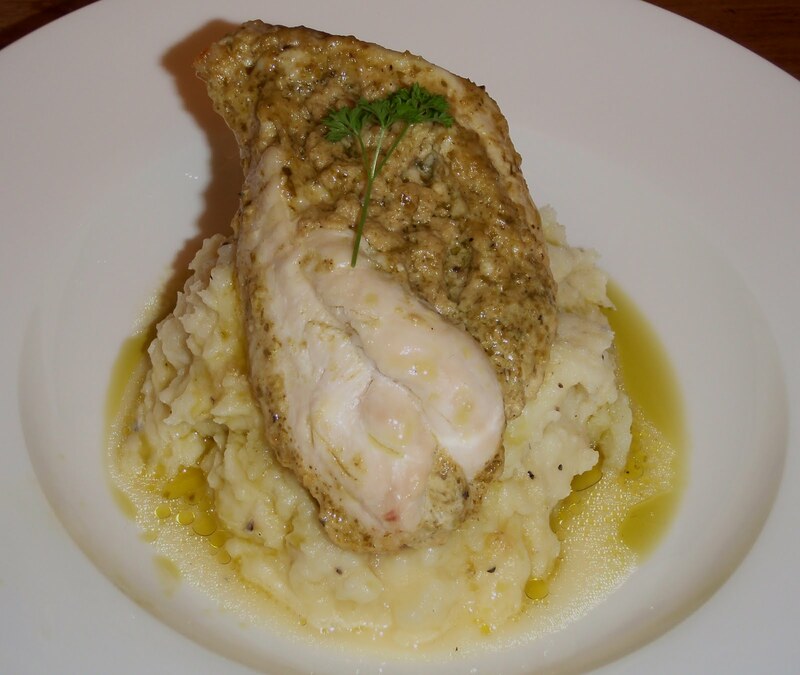 Pesto Stuffed Chicken with Mash. Cut a slit into the chicken breast, so it looks like there is a pocket to put the lovely stuffing into. Wash your hands…. I know, I know, but raw chicken and all that! Mix together the remaining ingredients and put a large dollop into the pocket. Gently pull the pocket as closed as you can without breaking the skin. Serve with mashed potato and some wilted spinach.